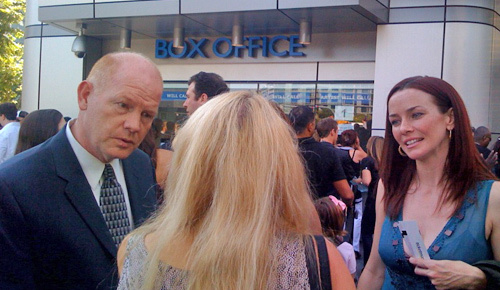 Denise Martin of Los Angeles Times caught up with Annie Wersching at the 2009 American Idol finals at at the Nokia Theatre and asked who she was rooting for. 4:16 p.m. Glenn Morshower, 24‘s Agent Aaron Pierce is here, along with Annie Wersching who plays Renee on the show and both are rooting for … Adam Lambert. “We gotta go with Adam, of course” Morshower told me as they headed into the Nokia. (P.S. Morshower calls Annie “Freckles”).